You heard that right! We all know FALL has ARRIVED and with the season comes the flavors and scents of apples, cranberry, cinnamon, and clove. Hopefully the fall flavors & scents bring back comforting & cozy memories for you. They do for me. 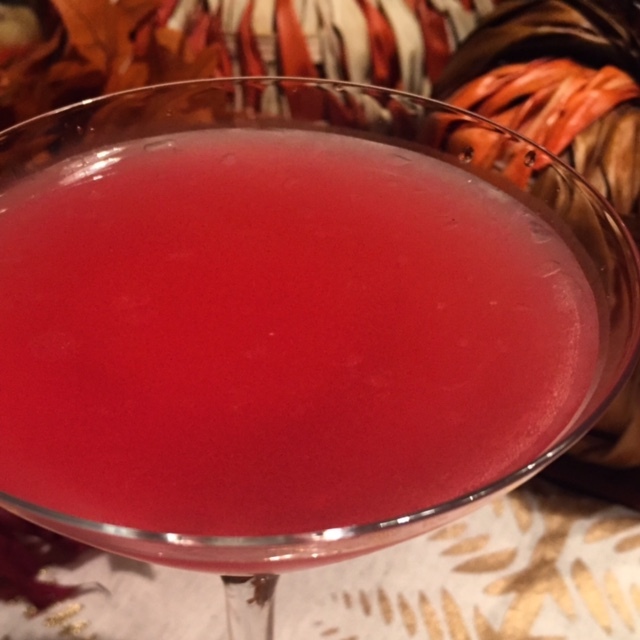 Which is why I was inspired to put together this perfectly “fall” cocktail combination over the weekend! For those of you already on the essential oil train, you already know LOTS about Thieves, I’m sure. If not, here is a quick description: Thieves is a Young Living blend of five pure essential oils: Clove, Lemon, Cinnamon Bark, Eucalyptus Radiata, and Rosemary. According to Young Living, their proprietary “Thieves essential oil blend was created based on the historical account of four thieves in France who protected themselves from the Black Plague with cloves, rosemary, and other aromatics while robbing victims of the killer disease.” Thieves is labeled as a dietary supplement which means it may be injested. I like to add a drop to warm warm and a bit of honey for “Thieves Tea” or a drop to my daily Ningxia Red juice shot especially during the fall/winter season to support my immune system. I of course also LOVE to diffuse it, especially with a couple drops of added orange oil, to give the whole house a clean & comforting scent. I love that it smells like I’m baking something amazing when that is not at all the case! Now, back to the cocktail! 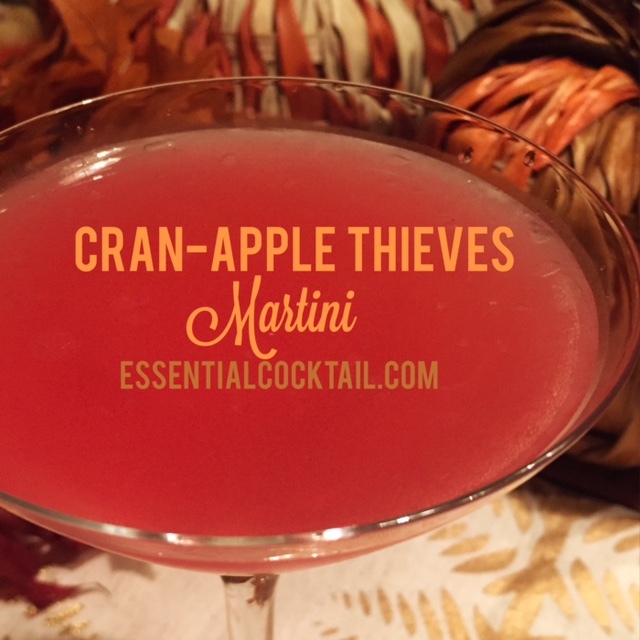 This is as simple as it gets, a vodka martini with cran-apple juice, 2 drops of Young Living Thieves, and ice. I hope you enjoy it as much as I did. I’m fairly confident it will become a new fall favorite! 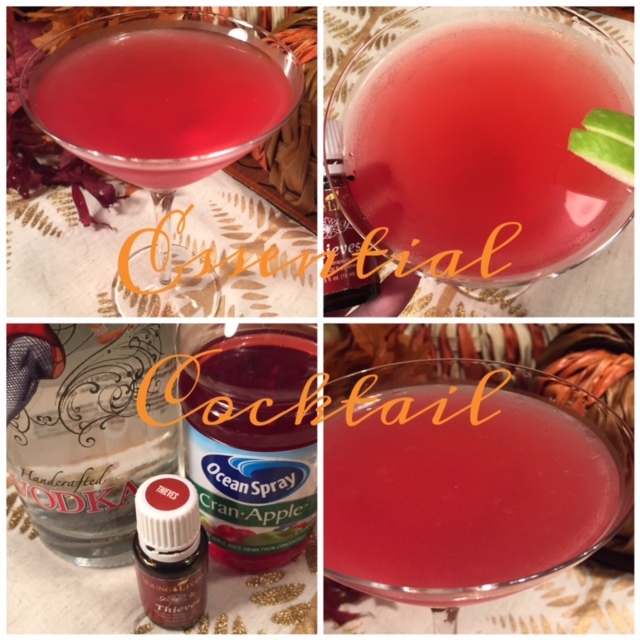 And maybe you’ll feel less guilty about having a cocktail knowing you’re helping support a healthy immune system, too! Put all ingredients in a cocktail shaker. Shake, shake, shake, and pour into your favorite martini glass. Garnish with apple if you like. Cheers! Cheers to Fall, Halloween and Spiced Cider Rum Punch!